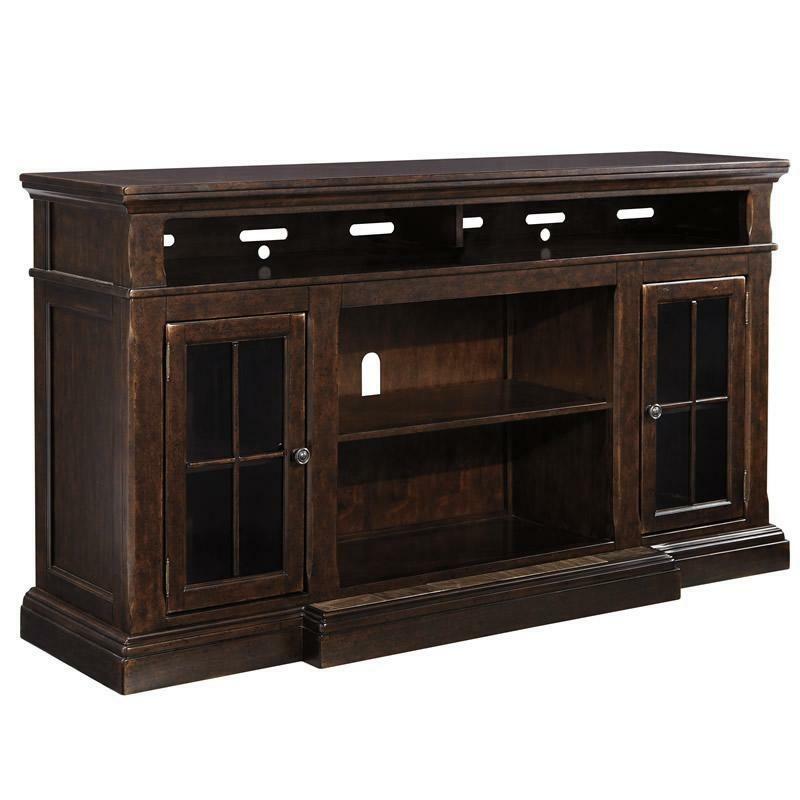 The Roddinton TV stand by Ashley Signature Design is a 72” wide TV console with a break-front design. 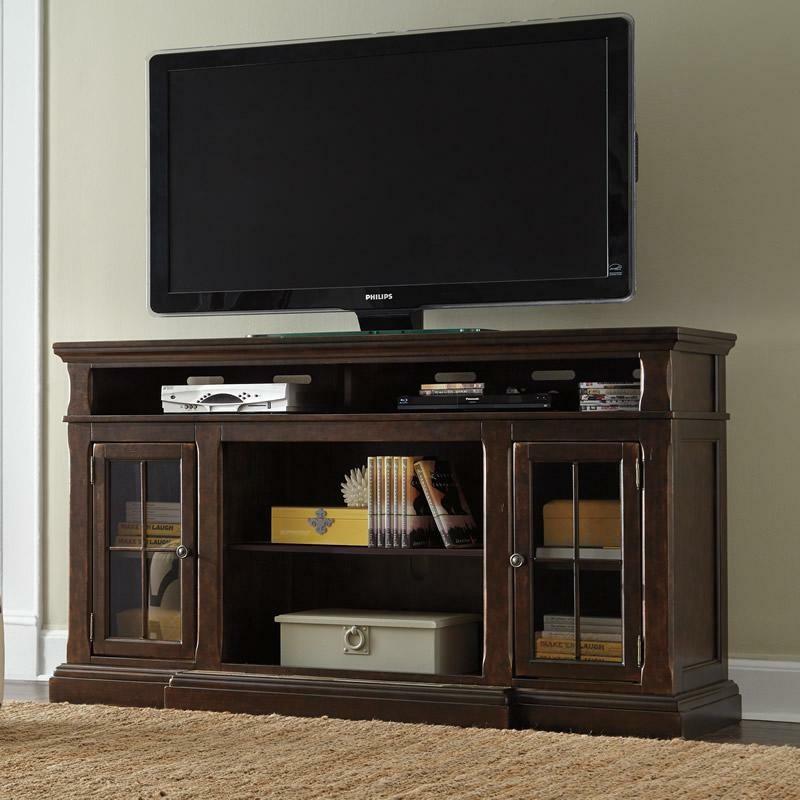 It features adjustable shelves and open media storage areas as well as an open area for sound bar speakers. It was also design to accommodate a infrared fireplace unit for a piece that is sure to please.